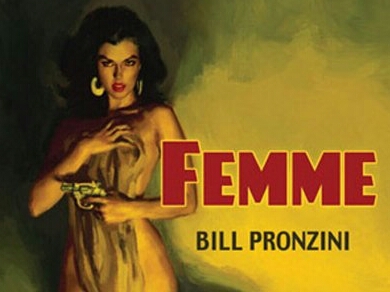 I’ve been loving retro style, particularly images of cheesecake pinups and painted femme fatales on the covers of pulp novels. 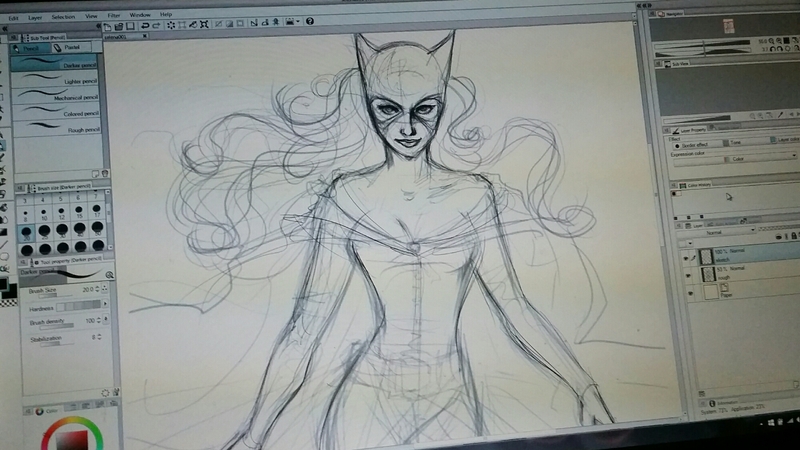 I started this project for two reasons: I wanted to draw “femme fatale”, and I wanted a print for my wall. I know I seldom go too far out of my comfort zone (I like challenging myself in my artwork, but it has to be meaningful to me if I’m drawing for myself). 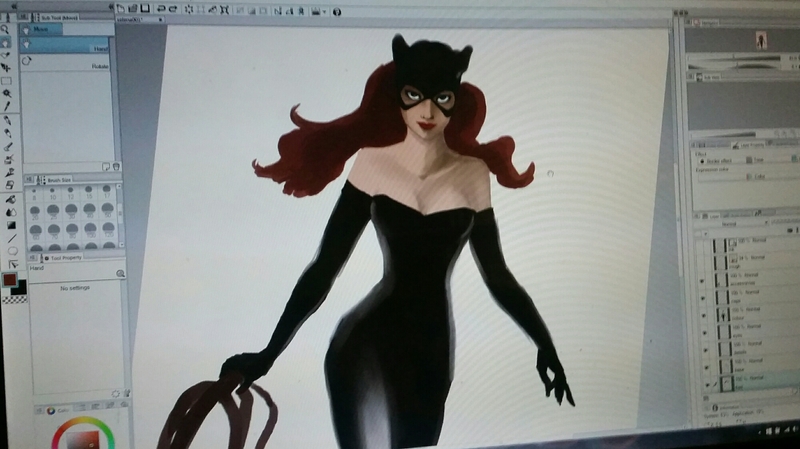 I wanted to draw a comic book character, but couldn’t think of anyone other than Catwoman. I chose her because she has that classic appeal that’s glamour, strength and sensuality all wrapped in a shiny cat suit. 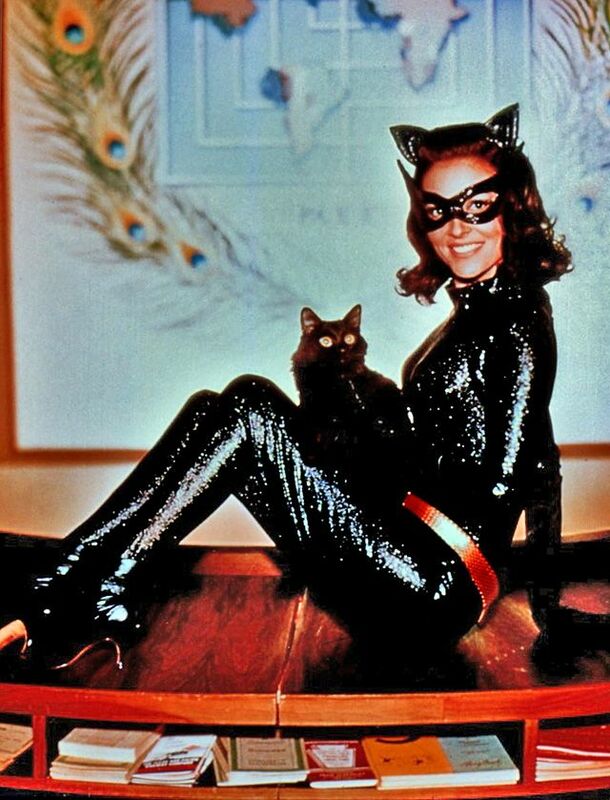 I liked Anne Hathaway in her turn as Selena, though my main inspiration was Lee Meriwether from the 60’s Batman series. I’m using Manga Studio (Clip Art Studio). The progress has been Instagrammed for posterity which is good because I think I flattened the layers without saving a work in progress file. Oh well.